Providing you the best range of ethylene concentration transmitter (digital), co2 gas sensor transmitter, centralized controller for gas sensors, ripening liquid for genet, ethylene generator with ripening liquid and fruit ripening plant with genet with effective & timely delivery. Offering world class of Ethylene Concentration Transmitters to our esteemed clients. Ethylene Gas Sensors are prepared and designed with finest quality-approved material and making use of sophisticated technology under the proficient supervision of our professionals. Apart from this, conforming to the set quality standards and guidelines of the industry our products are manufactured. Rise time max. 5 min. Minimum order of 10 pcs. Payment Terms: 100% advance with order. 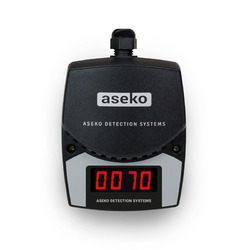 Providing our clients an excellent range of Infra Red Carbon Dioxide Concentration Sensor which is the outcome of our long time research and testing. Using very high-grade raw material besides many other valuable components we manufacture our products. 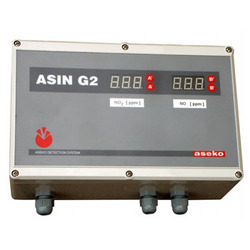 CO2 Sensor-Transmitter is a wall mounted unit which can effectively perform the respective tasks across a wide range of applications like Banana Ripening rooms, process industries. Product carries manufacturer's warranty. Rise time max. 10 min. 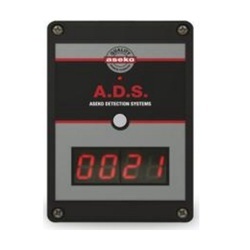 We are engaged in offering of 2 Gas Analyzing Central Unit. Our offered central unit is made available to the clients in different sizes and other specifications as per the prevailing market trends. Avail High quality Ripening liquid for use in portable ethylene generator at the industry's most leading prices. Offered products are fabricated by making use of excellent quality raw material and are available in varied sizes and specification of our clients. 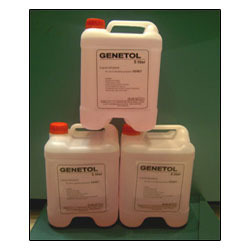 Genetol is liquid ethylene meant for use in a ethylene generator for ripening in commercial ripening rooms only of fresh fruits like Banana, Mango, Papaya, Lime, Citrus etc. It is packed in convenient easy to carry 5 litre cans - no confusion related to actual quantity (between quart (which is less) and litre), supplied to customers. Cost-effective as compared to other similar products available in market. Reliable performance- consistently for 365 days, 24 x 7. High Purity Liquid with pink color, making it distinctive from inferior concentrates available in the local markets. Sweet, Fruity smell - distinctive and fruit like. Easy availability, round the year. Well-established product with users spread all over India and the world. 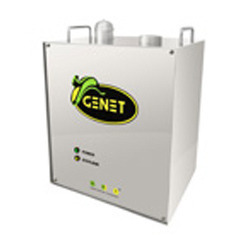 GENET Ethylene Generators are trusted by thousands of customers across India and the world for these simplicity and efficiency of operations.Most trusted portableEthylene Generator for use in Fruit Ripening Rooms across India for last 10 years. Operations are simple to understand and operate. 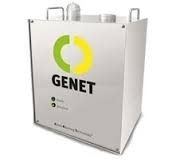 Fill it with our GENETOL Ripening Liquid, Switch on the Power Supply, and GENET is ready to generate ethylene gas which will act as a trigger on stored mature fruits like Banana, Mango etc to start natural ripening process. Excellent ripening results using our GENET ethylene generator. Since it is used for ripening fruits commercially, why buy boxes with Settings for different recipes. Product is supported with excellent service team and available spares. Results better than spray cans and cylinders, which look cheap when using 1 unit but expensive when 4-5 cans are used to ripen same qauntity of fruits. Delivery time ex-stock from warehouse. only variable is your ordering time and payment. Longer term warranty period is available upon client request. Packaging Details: robust. custom packaging available upon request. 1 unit of GENET is good for use across 5 ripening rooms of Mango, Banana etc. for more details about our fruit ripening plant and other equipments used, contact now. Looking for Fruit Ripening Products ?